54 x 80 x 10 Inch Med-Aire Plus Alternating Pressure Low Air Loss Mattress - SHIPS FREE! 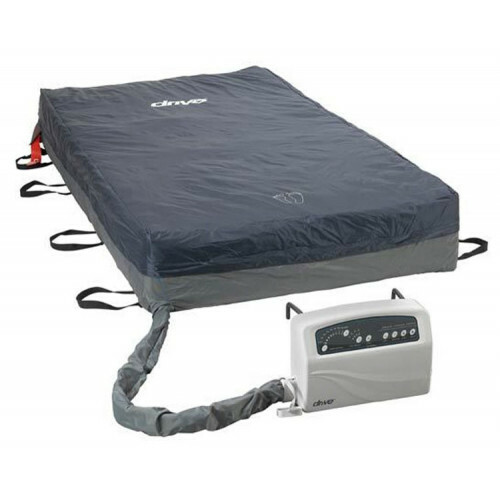 The Drive Med-Aire Plus Bariatric Alternating Pressure Mattress is extra wide at 54 inches and is designed to treat and prevent pressure ulcers. 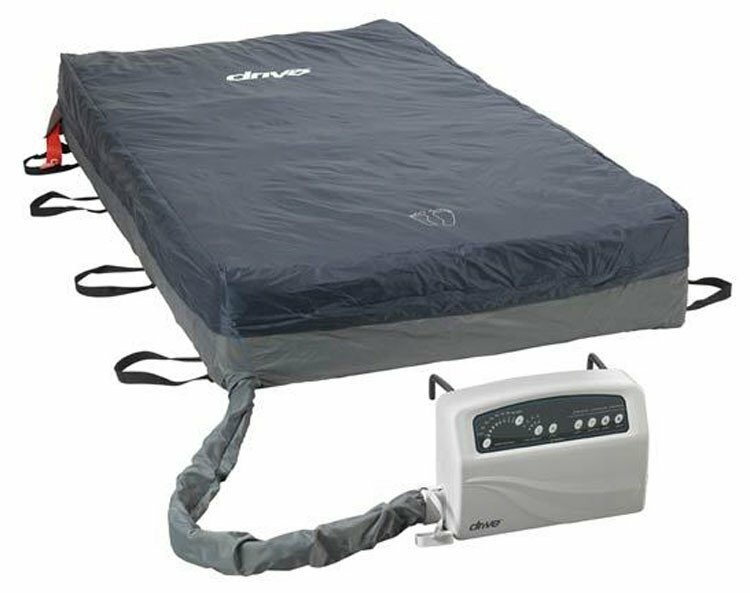 As a bariatric mattress, it measures 80 x 54 x 10 inches, when fully inflated, to support larger patients up to 1000 pounds. 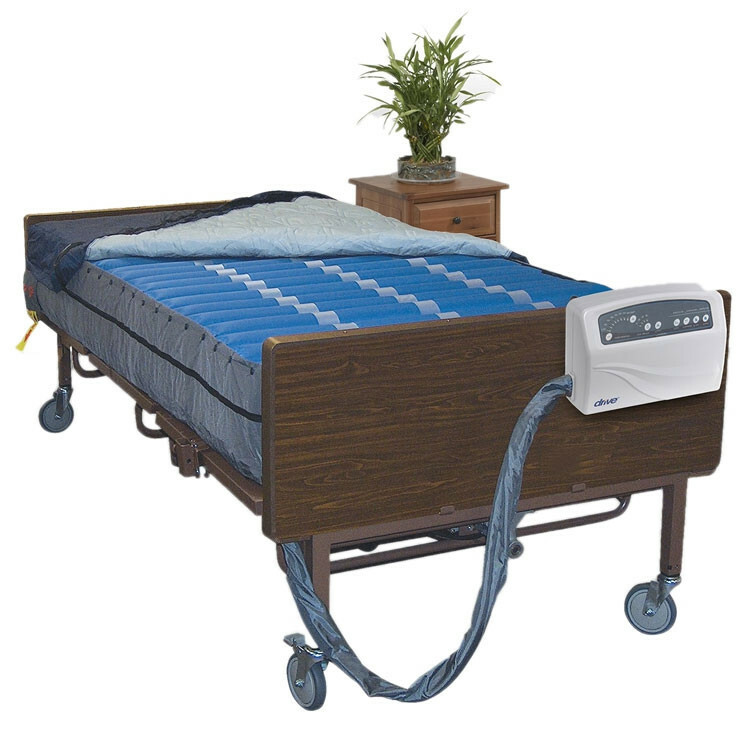 The mattress is compatible with the Drive Medical bariatric hospital bed for comfortable patient care in a hospital, nursing or home setting. 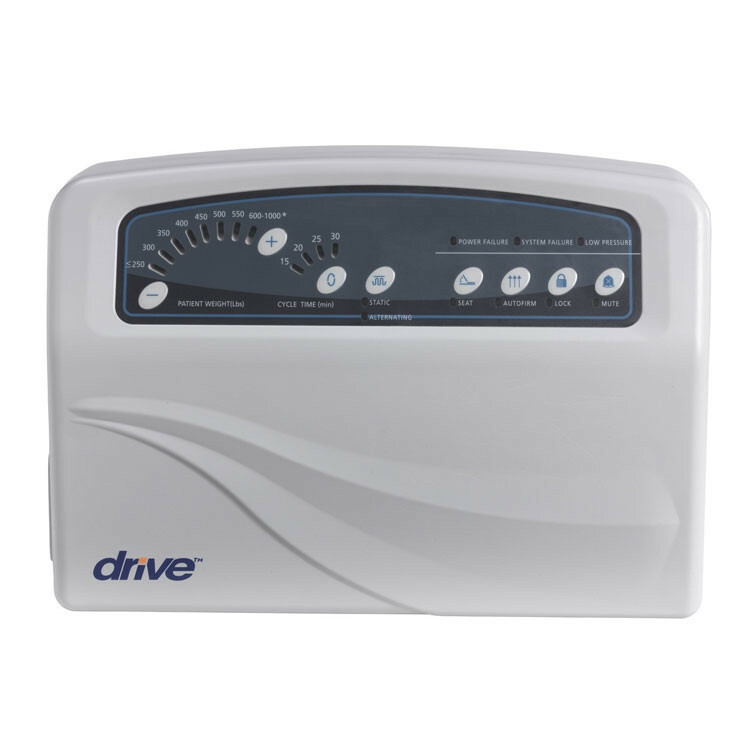 Drive Medical includes a control unit with pump, mattress, cover sheet and manual with the Med-Air PLUS Alternating Pressure and Low Air Loss Mattress Replacement System. 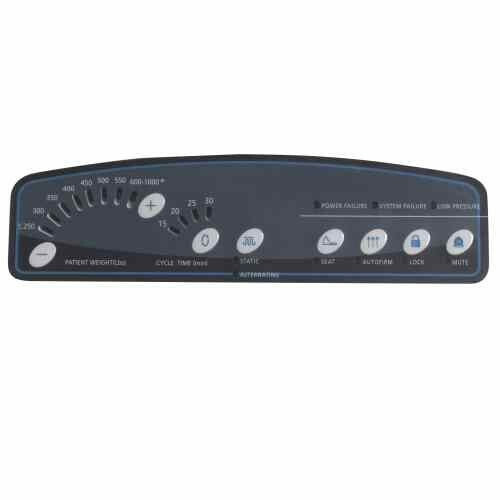 The control unit mounts to the end of the bed and the high volume pump produces 12 liters of air per minute. The pump works extra quiet to not disturb the patient. 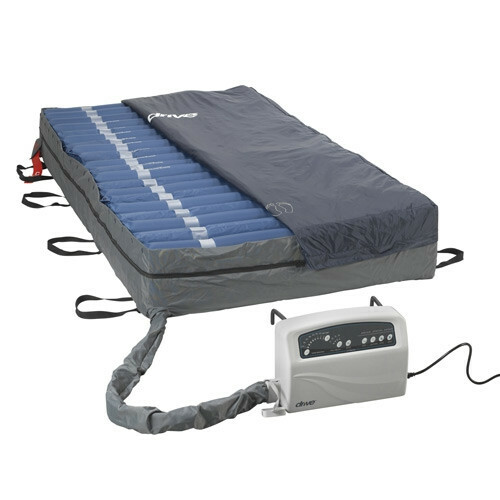 The mattress can be set at static or alternating pressure with four cycle options from 15 to 30 minutes, in five minute increments, allowing patient to customize pressure to effectively treat and manage pressure ulcers. The mattress itself is an innovative step in sleep care, made from 20 air bladders with 10-inch cells preventing the mattress from bottoming out in the event of a power failure. Each cell is constructed with Nylon/TPU that is soft, lightweight, and will not stretch. Also, it has a quick fill adapter and a CPR emergency valve accommodates either a fast inflation or fast release of air. For patient safety and security, an LED and Audible Alarm system will activate if pressure ever falls below 10 mmHg. The removable Nylon/TPU has a fiber quilted bottom to help mattress stay in place. The material is heavy weight with low shear to protect delicate and fragile skin from friction. The material is also fluid resistant, vapor permeable and even machine washable. A backup quick-fill pump is an optional accessory. 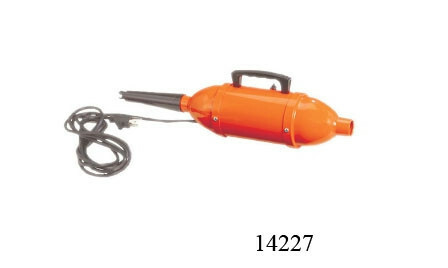 It quickly inflates the air mattess with an air-flow of 12 LPM. Does Medicare pay for this bed? What are the qualifications? Hello Sandra: We do not work directly with Medicare because we are an online retailer. If you are seeking reimbursement, you will need to contact your local Medicare office either before or after placing your order. 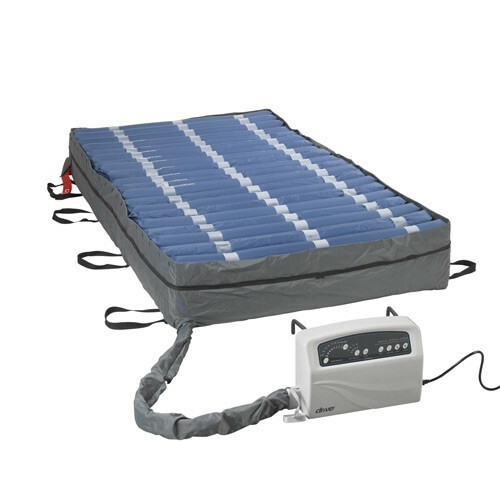 Do this type of air mattress give of a lot of heat as the patient lays on it?